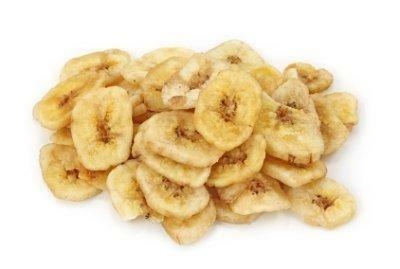 Bananas and other fruits can be dried in a solar food dehydrator. A solar food dehydrator is used to dry foods, like fruits and vegetables, so that they can be stored for long periods of time. Running on solar power makes these food dryers efficient and inexpensive. Solar dehydrators can be made using patterns that are available for free online. You've likely seen an electric food dehydrator, which is usually large and round, with removable trays that are filled with thinly sliced foods for drying. A solar food dehydrator works in the same way, but instead of plugging it in somewhere it runs free of electricity by harnessing the power of the sun. Solar food dehydrators can be used in almost any climate. While people have been drying their surpluses of fruits and vegetables for centuries by hanging them out in the sun, modern solar food dryers combine these techniques with modern technology to make the most out of the sun's heat and energy. Taking advantage of freshly grown fruits and veggies by storing extras for use later in the year. Creating healthy snacks from fresh produce. Making fruit or vegetable leather, which is a chewy and tasty treat made from dried food. Saving money by drying and storing your own produce rather than purchasing it out of season. A solar food dehydrator works exactly the same way as an electric dehydrator would. Food is prepared by slicing or chopping, and then placed on trays or layers of cheesecloth which are then placed inside the dehydrator. Instead of using electricity to direct warm air around the food to dry it out, a solar food dehydrator uses free, renewable energy from the sun.Depending on the design and size of your solar food dehydrator, the food inside is generally ready within two days. You can use these solar dryers any time of the year, even in the snow, as long as there is sunshine available. Once the moisture has been removed from the food, it can be safely stored for months before using. What Foods are Appropriate for Drying? There are lots of websites that feature patterns for making your own solar food dehydrator at home. If you're the sort of person who enjoys building things, this is the perfect project. It can be interesting to try and improve on these designs, to make them suitable for your needs and the space available. Some patterns for solar food dryers are rather large in size, so they may not be appropriate for those with small outdoor spaces. Chris's ENGR305 Solar Food Dehydrator - This food dryer comes complete with patterns, photos, and even a comparison of how it works as compared to an electric version. The Farm - This is a very simple construction that could be scaled larger or smaller, depending on your needs. There are no measurements here, but good guidelines on how to piece together your dehydrator and use it successfully. Home Power - An in-depth article with a design for a large and effective solar food dehydrator. There are several things to keep in mind when building your solar food dehydrator, so that the food you dry will be safe to consume. The dehydrator must be well ventilated so that air can circulate freely around the food. Screens should be placed over any openings to keep the food dryer free of pests. Parts should be removable for easy cleaning. All materials should be safe for heating and containing food. The structure should have a cover or some sort of protection in case of rain. With a little research and planning, you'll be able to create your own solar food dehydrator, and enjoy dried fruits and vegetables all year long.